What a weird game. I’m not sure why it’s become such a seemingly big hit among boardgamers. I see it recommended all the time as a game for people who are interested in the hobby. If you get anything out of this review, hear this: Betrayal At House On The Hill is not a good “gateway” game, for two reasons. First, it’s not representative of the kind of games that define modern board gaming–it’s very odd and unusual. Second, it’s not good. Whatever fun there is to be had here (and it can be fun!) is going to happen in spite of all of the many problems with the design. Ok, enough being mean. How does his game even work? More importantly, why isn’t it named Betrayal At THE House On The Hill? Why not name it Betrayal At House On Hill at that point? But I digress. The game is modeled after the horror B-movie trope of people exploring a spooky haunted house when suddenly everything goes wrong. The first half of the game will be spent wandering around, discovering new rooms, and having things happen to you. Each player takes a character with different skill types. Make sure you bring pen and paper, though, because the stat tracker components for these characters is actually the worst component in the history of board games. It simply doesn’t work. Those clips don’t actually work–ever! 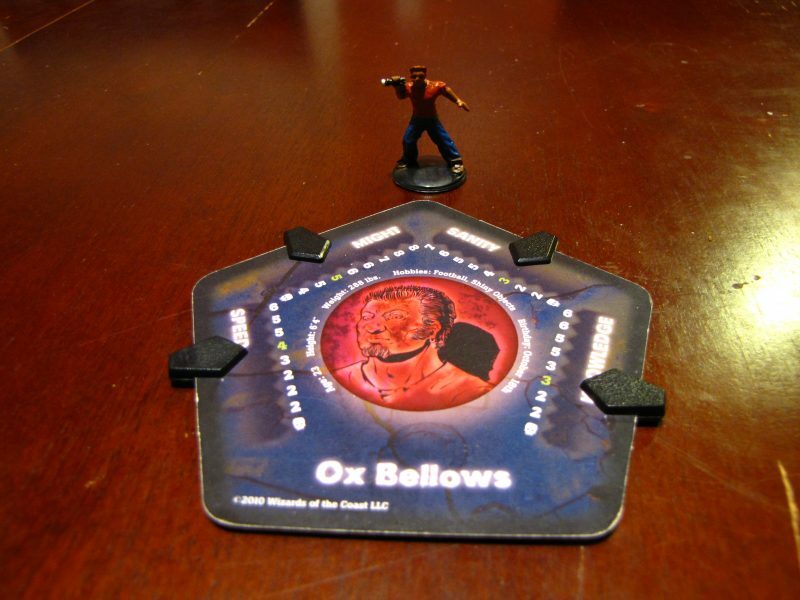 Also, Ox Bellows is the best. Each room has some effect on it–maybe you’ll discover a random item, or an event will happen, or maybe the floor will have a hole in it and you’ll need to roll a speed check to see if you fall or not. Some of the rooms have omens in them. These special cards give you an item or ability, but more importantly they cause you to do a “haunt roll”. This involves rolling some dice to see if the haunt is triggered to start the second part of the game. But in the first part you’re just going to be discovering rooms and seeing what happens. Every time you draw a new omen, item, or event card it contains a bit of flavor text about the spooky things that are happening. Some of it is marginally creepy, some of it is just a bit cornball. The main problem is that because the game is trying to be every horror theme at once, none of it has any narrative cohesion whatsoever. By being everything at once it becomes nothing at all. It’s legitimately difficult, and maybe impossible, to create true horror in a board game, but this is not the way to do it. Horror can come from fear of the unknown, yes, but that doesn’t mean complete unknown. There has to be a twisted logic, the implantation in the mind of what horrors might emerge, to actually be scary. Of course, that doesn’t seem to necessarily be Betrayal’s goal. It is trying to be hokey, campy, and in the B-movie tradition. But it’s often not weird enough nor funny enough to fit in there either. After a couple of drinks it works better. Eventually after a portion of the house is discovered, the haunt will happen, and the second act will begin. This is the coolest part of Betrayal, but it’s also the most poorly-executed part. In theory this is a fantastic hook for a board game–at some point someone betrays the rest, and a new scenario emerges from which the innocent victims must escape! In practice it usually goes like this: you look up a table to figure out who is the betrayer (usually the person who finds the omen that triggers the haunt) and what scenario is happening. 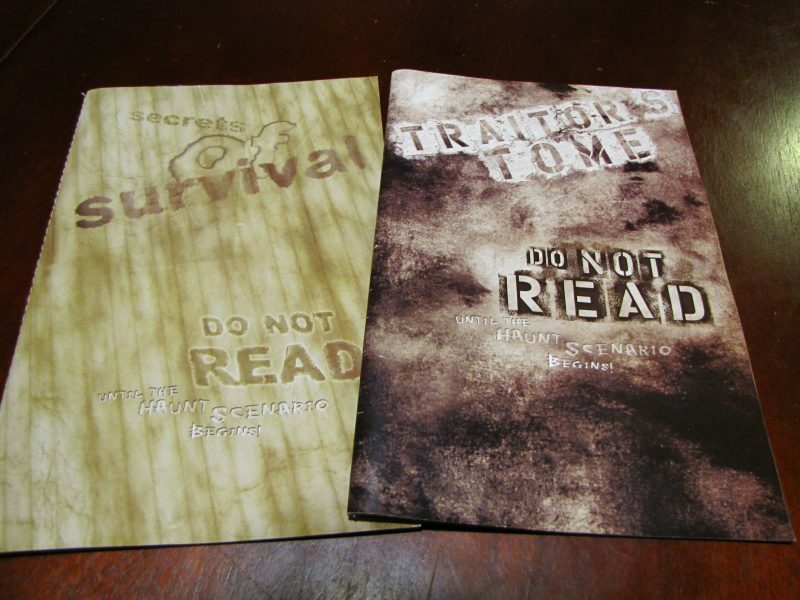 Then the betrayer takes his special rulebook, goes off into another room, and reads his set of rules for that scenario. Everyone else reads their set of rules, and once the betrayer returns everyone sits around awkwardly because the rules were too vague and poorly written. Because frequently each side will get knowledge in their set of rules that the other side isn’t supposed to know about, no one wants to say anything to try to figure it out so as to ruin the surprise. Furthermore, the general rules for moving, interacting, fighting, etc. have to be somewhat robust in order to cover all of the possibilities contained in the scenarios. But you don’t use many of those rules each game, so you very easily forget them and have to either dig through the rulebook or just pick something that makes sense because you don’t care enough. That’s annoying, but more annoying is how imbalanced some of the scenarios seem. Now, I haven’t played even close to the 50 scenarios in the game, but I’ve played many of them, and more often than not the scenario itself seems either unbelievably unbalanced or highly dependent on the stats of the betrayer. The latter would be fine if there was some skill to advancing your skills, but it’s pretty much entirely random. Some rooms will increase a skill if the player ends their turn there, but to get that bonus you can’t explore a new room, which is entirely the point of the first segment of the game and the only part of it that’s interesting. If a game creates situations in which the least fun option is the best option, strategically, that’s bad game design. But I’ve spent more time arguing over ambiguities in the rules, finding myself getting beat over and over again by the rooms I’ve stumbled into that I’m on the brink of death and completely useless by the time the haunt arrives, and wishing I could burn those stat tracking clips in a fire than I’ve spent having fun. 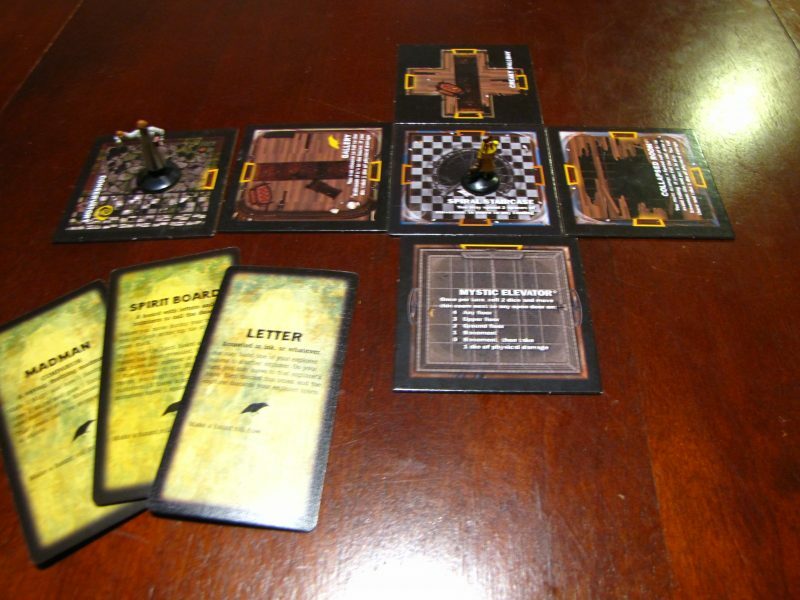 Betrayal at House on the Hill, from any level-headed perspective, is a bad game. It’s very old-school in its design, with tons of dice rolling, character stats, and random events. It frequently completely falls apart when it should be getting interesting. But every once in awhile it gives you one of those fantastic, hilarious, memorable moments that make thematic/narrative board games great. Plus, at the end of the night, when you’re tired and have a couple of drinks in you, your standards lower and you start to appreciate the ridiculousness of it all. I have this game and only play it occasionally. I have the first edition. I think of it very fondly but not in the same way I think of games like Agricola. It’s a great gateway game because it is really easy to play when you aren’t hosting the game, has a very strong narrative and it plays 6 people without bogging down. Your criticisms are valid but they have no barring on why people like this game. The new person doesn’t notice the scenario wasn’t balanced, they just go with it. Gateway games don’t need to teach you modern mechanics, they need to open your mind to the possibility that there is life after Monopoly. I get people to play BaHotH and people always say, that was really fun. What are all those other games you have over there? If you’re gonna critize a game at LEAST show a picture with the game properly setup. Jesus…. How would that make a difference? Wow not sure I have seen a review more off the mark before. Personal feelings got mixed into your review? Sounds like you screwed the rules and everyone got mad; no? The haunt rules take a fair amount of reading comprehension, and attention to detail but my family and friends do just fine… I just have not heard this consensus from anyone who I have played or talked about this game with. I’m not sure how personal feelings could not be part of any review I write. The reviews are precisely me explaining why I have the feelings I have about a game. We’ve had very different experiences with this game, it seems. Vague rules has been a persistent annoyance from everyone I play with, and from what I’ve heard it’s a pretty common complaint about the game. Ive had a pretty similar experience so far. We have yet to have an endgame scenario that wasn’t imbalanced to the point of making the victory of one side all but assured. I do not agree with your review but I can see how you came to the conclusion you did. I honestly love this game, even though it can be unbalanced, the house is different every time giving a lot of replayablility. The unbalance can lead to either really short haunts or really long ones, for me and my friends it is fun to see what will happen each time ( longest haunt went untill 3am). We also play spooky music as we play the game, we debate rules and clarify haunts, which for us, only adds to the game. To anyone reading this this game may or may not be for you, but I think it is worth trying out. Thanks for your comment! I actually agree that people should try out the game, if only because it’s one of the most popular non-euro hobby games of the last 20 years and because it’s approach to narrative really kind of spearheaded a lot of the games we see today. You clearly seem to recognize this game has a huge following, but rather than discuss why that might be you focus on your own little squabbles. I personally think you’re way off the mark with this review, but to each their own. The fun in the game IS in its oddities and in the fact that it is sometimes stacked against the hero’s. It has a strong atmosphere, story, an air of mystery and thrill, and the quirks of each haunt being new is fun! It may not be for everyone, but I’d try the Baldar’s Gate skin of this if you haven’t. It levels the playing field a bit and each character gets their own special D&d flavored power. I think this review is an important perspective to have known. I agree with some of the points, but I still love the game. I view the Betrayal as a narrative experience. The game is incredible unbalanced, but I think it adds to the story being told. I think my biggest gripe is that the Haunt set up ruins the pacing of the game. Most of the time its pretty fumbly as people try to understand their rules. Despite that, I love the concept and enjoy the second half of the game regardless. I never sell the game as strategy, and tons of planning- there is too much luck involved, but if you’re gonna develop a game all based around luck, this is how you do it. Its simply fun and provides many memorable experiences- nothing really more than that. Also, I’m super excited about the legacy game.